Hinduism is one of the oldest and most diverse religions in the world. At heart of the Hindu spiritual philosophy lies famous the trinity of Gods-Brahma the creator, Vishnu the preserver and Shiva the destroyer, who is also known as Bhole Nath, Shankar, Mahadev etc. 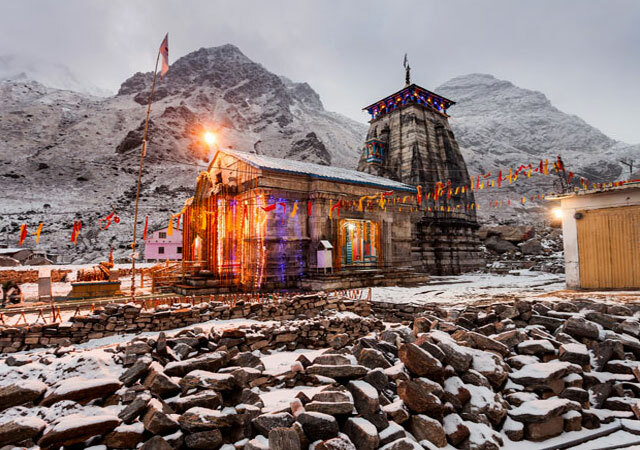 Perched high on the picturesque Garhwal Himalayan Range of Uttarakhand, near the Mandakini River, Kedarnath temple is one of the most famous Shiva Temples in Indian Himalayas. Kedarnath is one of four destinations of the Chota Char Dham, the revered pilgrimage which has a great significance in Hinduism. The temple remains open from April till mid-November and receive thousands of devotees every year. One of 12 Jyotirlingas, Somnath temple yatra holds great prestige and reverence, it is one of the major destination of Char Dham yatra. 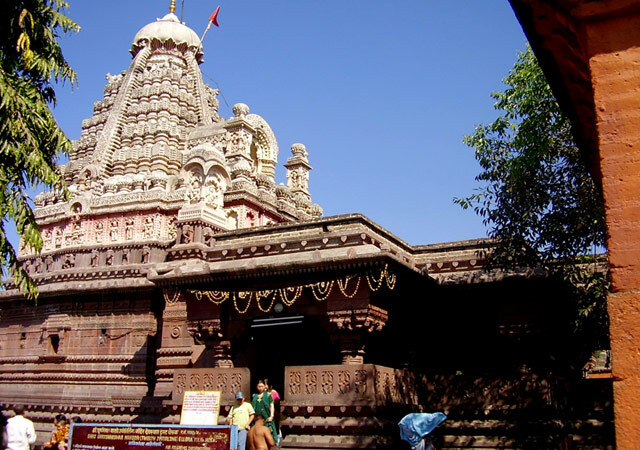 This historic temple is located in the Prabhas Kshetra near Veraval in Saurashtra, near the sea shore. 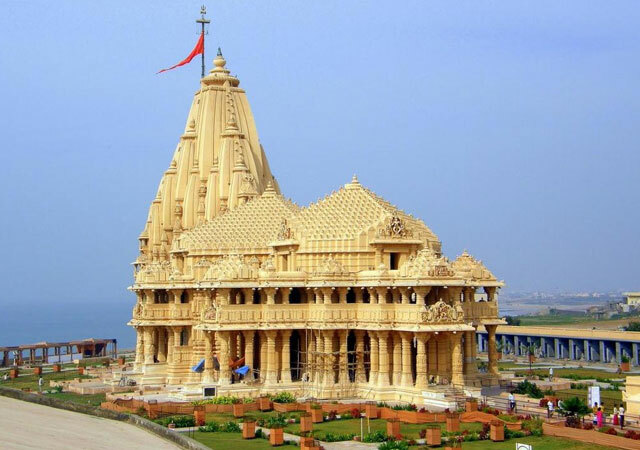 The architecture of Somnath temple is in the beautiful Chalukyan Style. Thus it is not only important religiously but it is also an impressively beautiful temple. 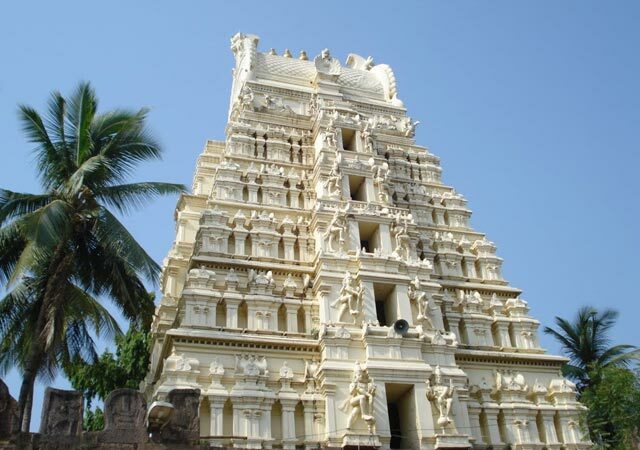 Built by King Harihara Raya of the Vijayanagara Kingdom in the 14th century Mallikarjuna Swamy Temple is located on the banks of the Krishna River. The temple with its gilded spires, silver plated doors and exquisitely ornate pillars makes it one of the most exquisite structures. The Mahakaleshwar or Mahakaal Temple is one of most famous Shiva temples in central India and one of twelve Jyotirlingas in India. 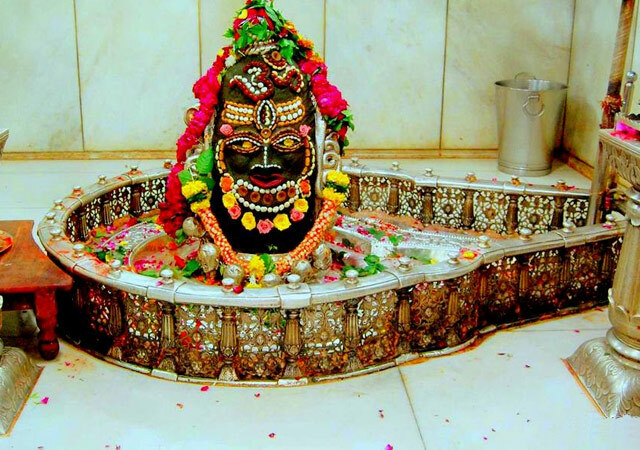 Located in Ujjain in Madhya Pradesh, the temple has Lord Shiva established in the form of Mahakaal, which is a fierce form of the deity and who is considered to be the destroyer of all evils. One of best attractions of the temple is the early morning Bhasma Arti which is considered to be very auspicious to attend. The lingam established there is said to be svayambhu- that is it has originated by itself. It is great spiritual merit to visit this temple. 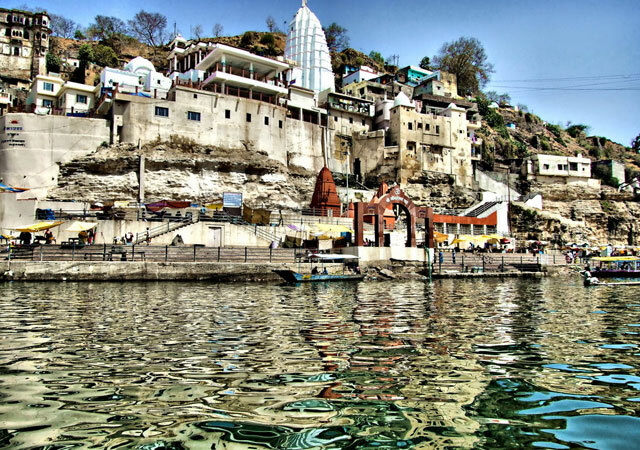 Situated on an island – Mandhata or Shivapuri in the Narmada River in the Indian State of Madhya Pradesh, the Omkareshwar Temple is another famous temple of lord Shiva in Madhya Pradesh. 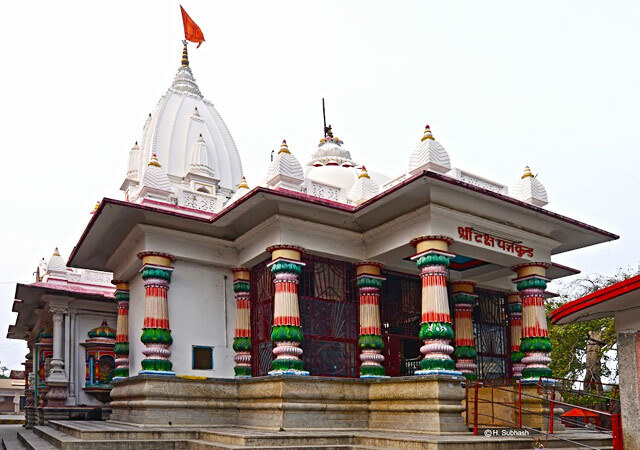 The temple structure of Omkareshwar is a five storied complex that has seats of different Hindu deities, in addition to the presiding deity of Lord Omkareshwar. Associated with different legends and mythologies, the idol of Omkareshwar is three headed. Best time to visit Omkareshwar temple is during the month of Shravan or on Mondays during which it is decorated with different colors and has a special allure. 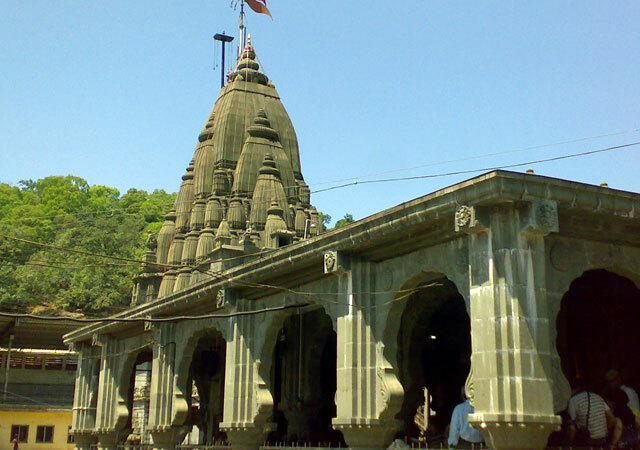 A revered Jyotirlinga temple in Maharashtra, the Bhimashankar Temple is one of the most ancient and graceful Hindu temple structures in west India built in the Nagara architectural style. The temple is based on a legend. According to the story a demon names Tripurasura observed strict penances in the forests of Bhimashankar and managed to please Lord Shiva. The Lord in turn blessed him with boon with a condition that it should be used only for the betterment of Humans or he will have to lose his life. But the demon started to disobey gods and committing evil deeds. To stop him, Lord Shiva and Goddess Parvati took the form of Ardhnareeshwar and killed Tripurasura. Due to their descent on this site, Bhimashankar became a popular temple among lord shiva devotees. Shelter of all devoted souls, Kashi Vishwanath temple in Varanasi is one of the 12 Jyotilingas of India and holds a great importance in the tradition of Shaivism. The Kashi Vishwanath temple, located in the historic city of Varanasi is a magnet of thousands of devotees every year from India and abroad. The form of Shiva, enshrined in the image of a lingam is a source of great peace and spiritual uplifting for the visitors. It is said that one who leaves his/her body in Kashi Vishwanath gets liberated from the cycle of births and deaths and even a single darshan of the sacred Jyotirlinga is equivalent to the darshan of all other Jyotirlingas spread in different parts of the country. Visited by many exalted saints and sages in the past, the Kashi Vishwanath Temple is the embodiment of timeless spiritual values and cultural traditions of India. 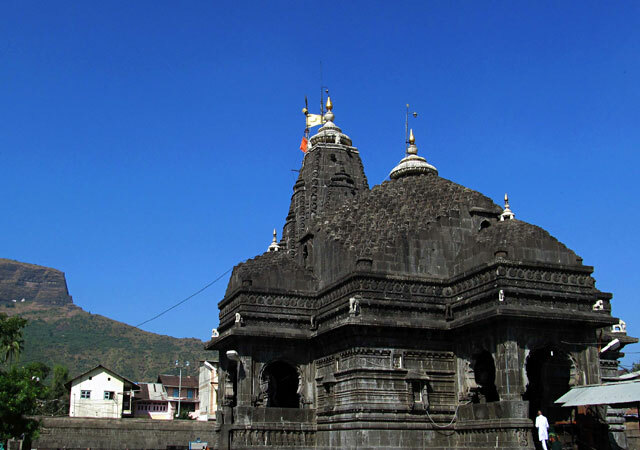 Another famous Shiva temples in Maharashtra, Trimbakeshwar jyotirlinga is located at the source of the Godavari River. The temple is said to be constructed by Peshwa Balaji Rao in the classic Hemadpanthi style. Built completely of the black stone, a visit to the temple is very important to complete the religious course around the country. The Shiva Lingam, established in the temple has three faces that depicts Lord Brahma, Lord Vishnu and Lord Shiva. Like the Mahakaal Lingam in Ujjain, the Lingam at Trimbakeshwar is also a swayambhu, which means that it has been self-originated. The sacredness of the place is also added by the fact that it has the origin of River Ganges here, which is called Godavari in this region. The story of Vaidyanath temple is associated with the legend that when Ravana, in order to please Lord Shiva sacrificed his ten heads, Lord Shiva appeared here and treated Ravana’s heads as a doctor (hence the name Vaidyanath). The Vaidyanath Temple is one of the 12 Jyotirlingas and the complex houses 22 other temples which are devoted to different deities. The Lingam is said to be made of a unique stone. The temple exhibits a special allure during the month of Shravan, during which more than a million devotes visit the place. The existence and significance of the temple is described in several Hindu Texts and traditions and hence it is religiously important to visit this place. 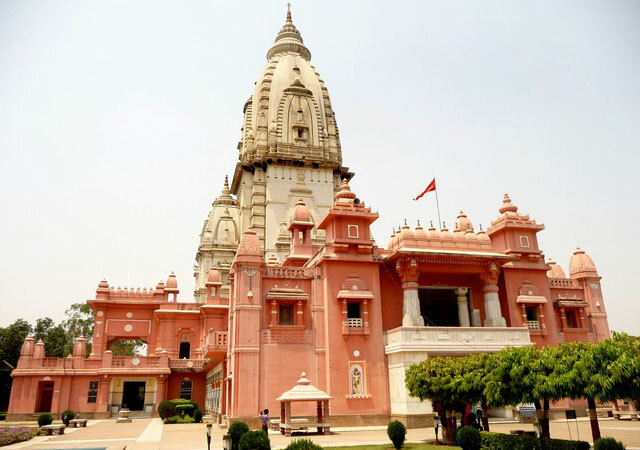 Located on the route between Gomti Dwarka and Bhet Dwarka, The Nageshwara Temple is source of divine peace and tranquility for thousands of devotees. Mentioned in the Shiva Purana, the Nageshwar temple is one of the 12 Jyotirlingas and the Lingam is a Swayambhu, i.e. self-originated or manifested. The region in which the temple is located was called “Darukvana”. According to the legends, it was to protect His devotee Supriya along with others, who had been made prisoners by a demon that this Jyotirlinga came into existence. Worship to this Jyotirlinga is said to protect devotees from poison. The wonderful temple that was built over this Jyotirlinga is said to be constructed in 15th century. Located in Rameshwaram, the wonderful and exotic temple of Ramanathswamy is a revered and highly esteemed shrine of Lord Shiva in South India. The Temple is built over the same place where Lord Rama established a Lingam to worship Lord Shiva to absolve Him from the sin of killing Ravana, who was a Brahmin. 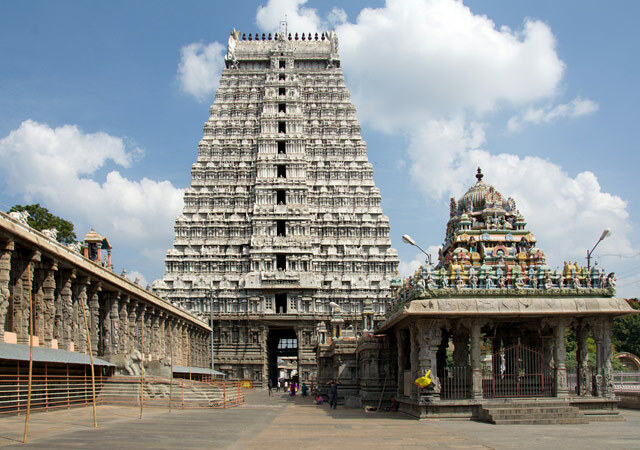 The temple has a lot of spiritual and religious significance and is built in exquisite art and architecture, having the longest temple corridor in the world.The temple in fact has two lingams. The other lingam is said to have been brought by Lord Hanumana from Varanasi. The temple is one of the four sites of the sacred Char Dham Yatra. Situated in a village near Daulatabad, the lingam of Grishneshwar is said to be the last jyotirlinga on Earth. The temple of Grishneshwara is built of red rocks and is fashioned in the pre-historic architectural style. 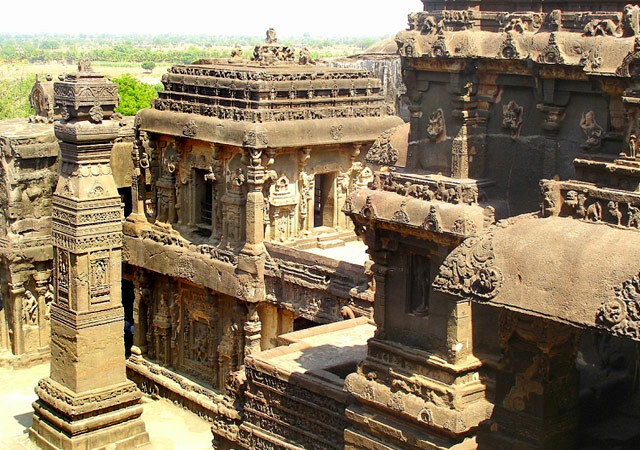 Being located around 30 kilometers from Aurangabad, the temple lies very close to the historic Ellora Caves. The temple was constructed by Ahilyabai Holkar, who was the queen of the Malwa kingdom in the late 18th century. The history of Grishneshwara temple is associated with a legend which is based on how Grushma, a dedicated devotee of Lord Shiva got her son back, who was killed by her jealous sister. After the Lord was pleased by her devotion, the temple came to be known by the name Grishneshwara. Amarnath Cave need no introduction as one of the most famous pilgrimage site for lord shiva devotees. Located at a height of 3,888 meters above sea level, the highlight of the cave is the amazing and natural formation of the Shiv Lingam, which is formed only once a year. The devotees require a lot of courage and physical stamina as the route to the holy cave passes through high and rugged terrains. But being situated in Kashmir Valley, the route of Amarnath Cave is also one of the most picturesque sights with immense, snow clad mountains, beautiful streams and green meadows. 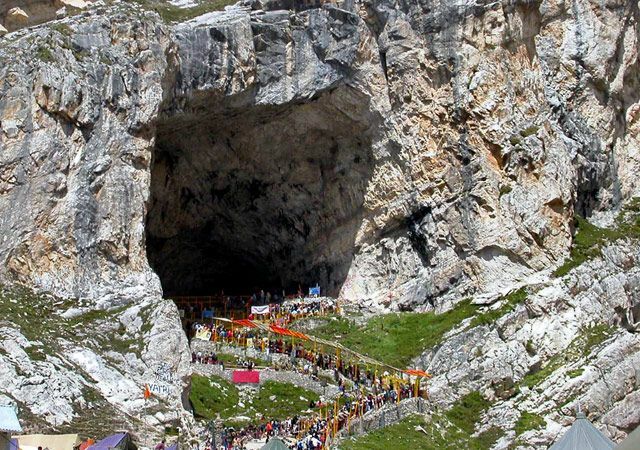 The Amarnath Cave is no doubt, one of most cherished and desired pilgrimages associated with Lord Shiva. Adorning the beautiful city of Thanjavur (Tanjore), The Brihadeeswarar Temple of Lord Shiva is one of the best and classic examples of Dravidian Style of architecture. A UNESCO World Heritage Site, the temple has an incredible Vimana, which is considered to be the highest in the world. In addition to this, there is a big statue of Nandi, which has been carved out of a single rock. While outside the temple have statues of popular deities, the presiding deity of the temple is Lord Mahadeva. 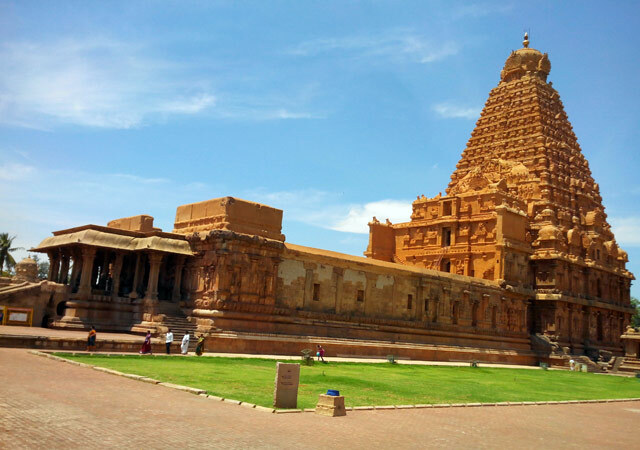 The site of the temple was constructed by Raja Raja Chola, one of the best known and most popular of Cholan Kings. The imposing and magnificent structures of the temple reflects one of the greatest glories of Indian architecture. A colossal temple complex built of sandstone and laterite, the Lingaraj Temple is an incredible house of worship, dedicated to Lord Shiva. The presiding deity is the Lord Harihara, one of the forms of Lord Shiva. It is believed to have been constructed by the Kings of Somavamsi dynasty and then modified later by the rulers of Ganga kingdom. Lingaraj Temple is one of the oldest such structures in the city of Bhubaneswar. 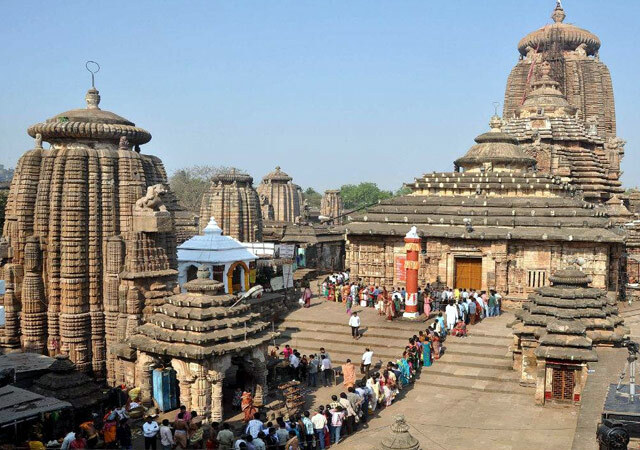 A wonderful example of the Kalinga Style of architecture, the Lingaraj Temple is one of the famous temple in Odisha. The temple literally has one crore (10 million) Shivlingams within its precincts and features one of the biggest shivlingams in the world. 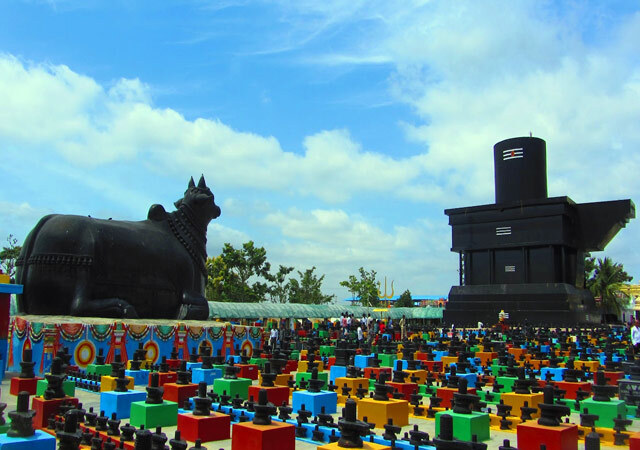 Located in the Kammasandra village of the Kolar district, the main shivlingam of the temple is around 33 meters tall while the Nandi, the celestial ride of Lord Shiva and which is present in every Shiva temple, is around 11 meters tall. The main deity of the temple is Lord Kotiligeshwara. The temple receives great number of devotees on Shiva-Ratri, the occasion of divine marriage of Lord Shiva and His consort. 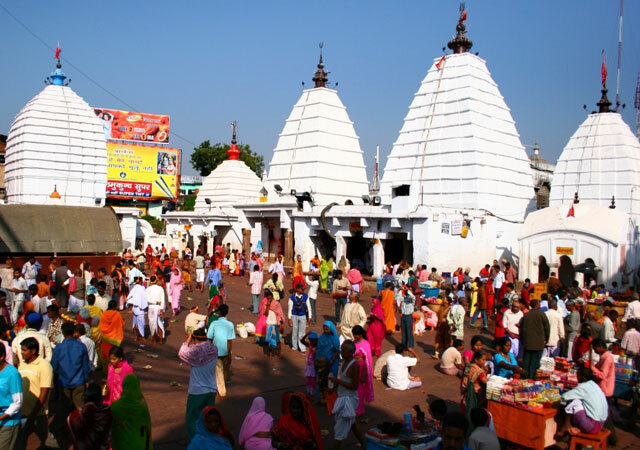 Loctated in the Kankhal district, about 4 kilometers from Haridwar, the Daksheshwara Mahadev temple is a prominent place of devotion for the Shaiviite. 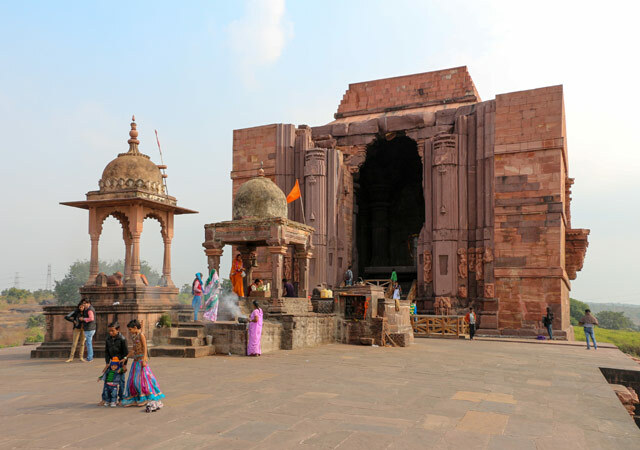 The temple is name after Daksha Prajapati, who was the father of Sati, the consort of Lord Shiva. The temple was built by Queen Dhankaur in 1810 and was rebuilt in 1962. The temple is situated at the same site where Daksha performed the celestial sacrifice, which led to the burning of Sati and Lord Shiva getting angry. 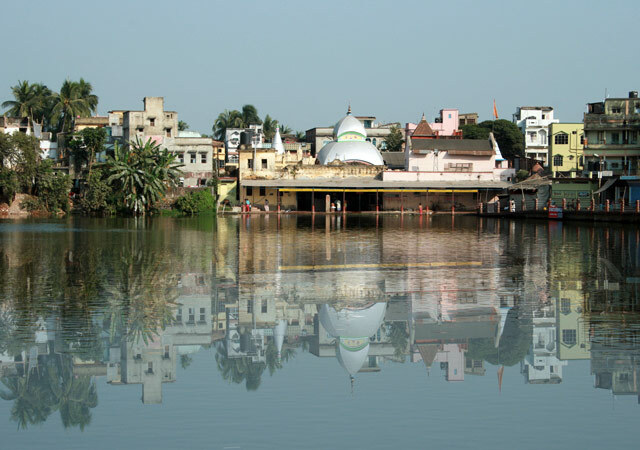 Also within the complex is a temple dedicated to Ganges and a Ghat where Ganges flow and where devotees can take bath. Situated at the base of the Annamalai hills, Annamalaiyar is one of the very famous places of worship of the devotees of Lord Shiva. The temple known for its giant size and lofty vimana. It was built primarily during the reigns of the Chola rules and was renovated by the kings of the Saluva and Tuluva dynasty. The temple has a unique charm during the Karthigai Deepam Festival. Located in the Hooghly district of West Bengal, the Tarakeshwar Temple is an important home of Lord Shiva in the Eastern India. As with most of the temples in India, different stories are attached to the Tarakeshwar temple as well. According to one version, the temple was built by Raja Vishnu Das, who was instructed in his dream by Lord Shiva to build this temple. Also the lingam that is worshipped here was found in the jungle by the mendicant brother of Raja Vishnu Das. The temple has a lot of significance for the people of local community. It is said that devotees who fast in this temple, without even consuming water, get their wishes fulfilled by Lord Shiva. A twenty storied temple structure located on the hilltop and surrounded by the waters of the Arabian Sea, the Murudeshwara Temple illuminates the Bahtkal Taluk of Uttara Kannada district of Karnataka with an amazing spiritual aura. The temple has the second largest statue of Lord Shiva in the world and affords a great sight in the evening during the sunset. 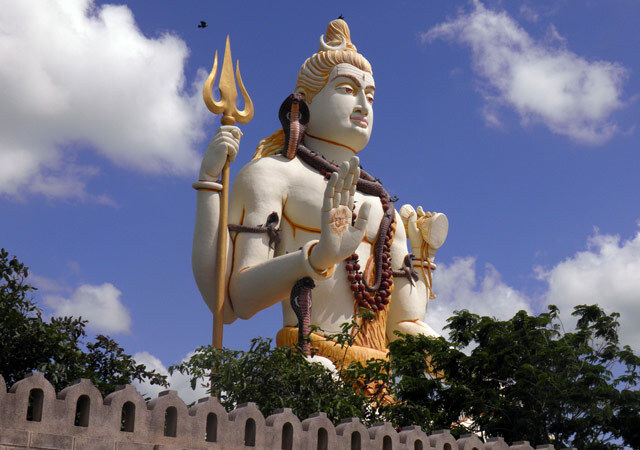 The idol of Lord Shiva is around 37 meters tall and is said to have taken two years to build. It is doubtlessly a great attraction. 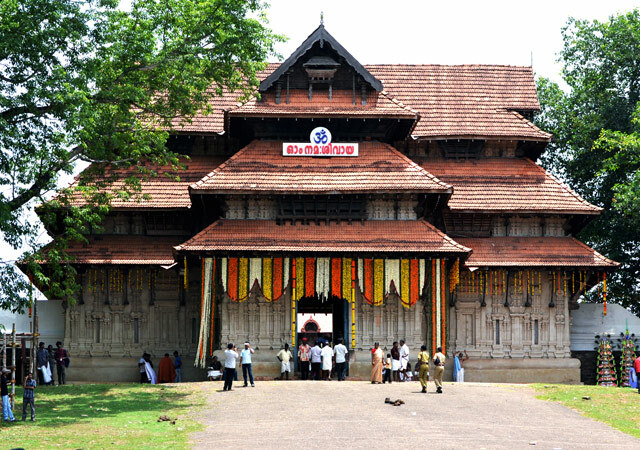 Vaddakunathan is one of the most popular Shiva temples in Kerala, being located in the Thrissur City. It is believed to be the first temple built by Lord Parshurama. The Lord is worshipped here using a huge amount of Ghee (clarified butter) which is then distributed amongst the devotees to be carried back home as prasad. The presiding deity, Lord Shiva, is worshipped here as Lord Vadakkunathan. 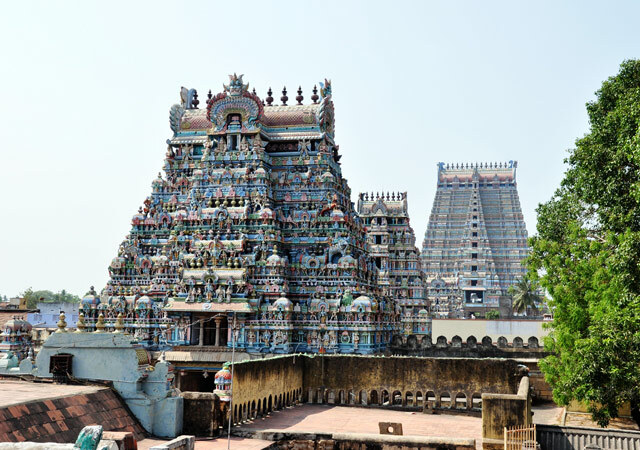 The temple is surrounded by massive stone walls that have gopurams in all the four directions. The lingam within the temple is hardly visible, being covered in massive amounts of Ghee. The temple attract a significant number of devotees every year. Non-Hindus are not allowed inside the temple. 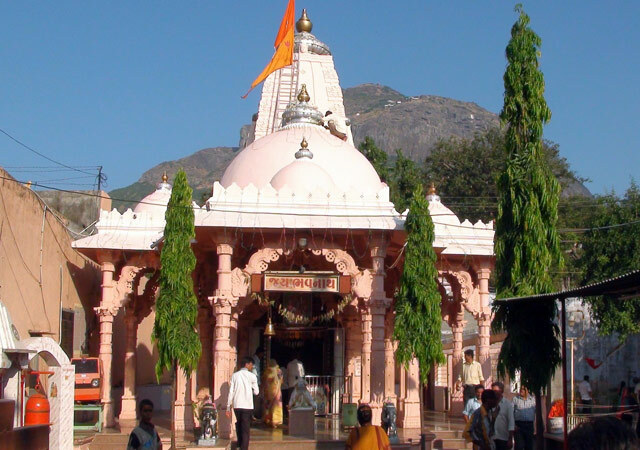 One of the foremost holy places in Junagadh, the Bhavnath Temple is located on the foothills of the beautiful Girnar Hills. The temple is said to be a revered pilgrimage spot for Hindus as well as Jains. The main attraction, the Bhavnath Fair is held in the month of January-February is one of most colorful festivals that is celebrated since ancient times. The fair, attended by a large number of Naga Sadhus, is celebrated for five days and is accompanied by folk singers and dancers and devotees. It is believed that Lord Shiva Himself is present during the fair to bless the devotees. It is not only a great sight but also a wonderful spiritual experience. Ornamenting the beautiful Chittor district of Andhra Pradesh, Srikalahasti Temple is an elegant 12th century temple built by the rulers of Chola and Vijayanagara Kingdoms. 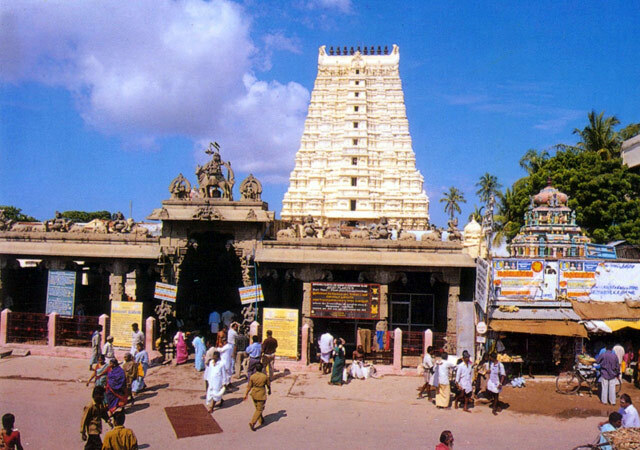 Lord Shiva is worshipped here as Kalahasteeswara. The Lingam, which is white in color is a swayambhu or self-originated or self-manifested. 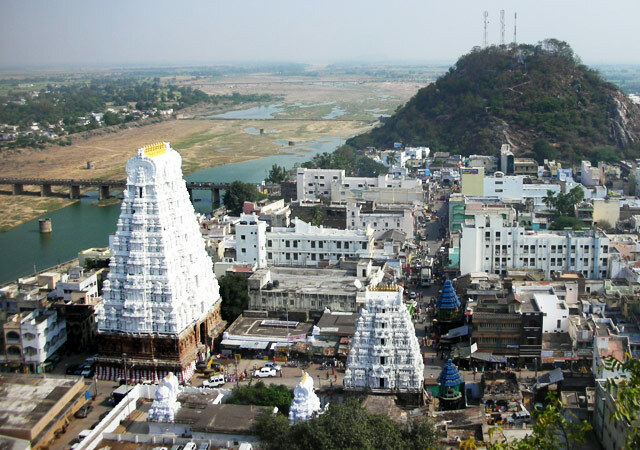 Located 36 kilometers away from Tirupati, the lingam at the temple is also one of the Panchbhoota sthalams. It is associated with the legend of Kanappa who was ready to offer both his eyes to Lord Shiva before the Lord stopped him, granting him moksha (eternal bliss). The temple is famously referred to as the Kailash of South India. An epitome of exquisite architecture and detailed carvings on the walls, the Kardariya Mahadev Temple stands apart as one of the most exotic Shiva Temples in India. The temple is embellished with over 900 beautiful structures both inside and outside. Besides other wonderful carvings include the sculptures of dancing Chamunda and that of Birbhadra. Thus, Kandariya Mahadev Temple is significant not only from spiritual point of view, but architecturally it is also a delight for students and historical buffs. 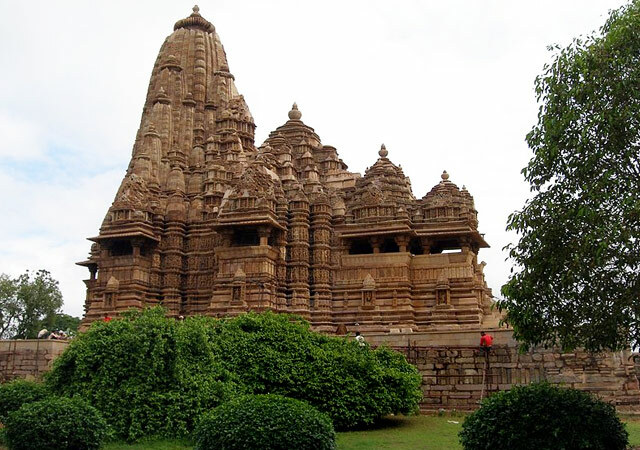 The temple is located within the complex of the famous Khajuraho Temples, which are one of the main icons of India and most famous historical and travelling site. The highest Shiva temple in the world, visiting Tunganath temple is not only spiritually refreshing, but also exciting from the point of view of adventure. Perched at a height of 3,680 meters above sea level in the Rudraprayag district of Uttarakhand, the temple is located at the base of the Chandrashila Peak. It is also one of the most revered Shiva temples, being one of the Panch Kedar Temples. Tunganath Temple is said to be over 1,000 years old. It was discovered by Adi Shankaracharya and few other idols of Goddess Parvati and other gods could be seen. During the winter season, the idol of Lord Shiva is transferred 19 kilometers down to Muktanath. 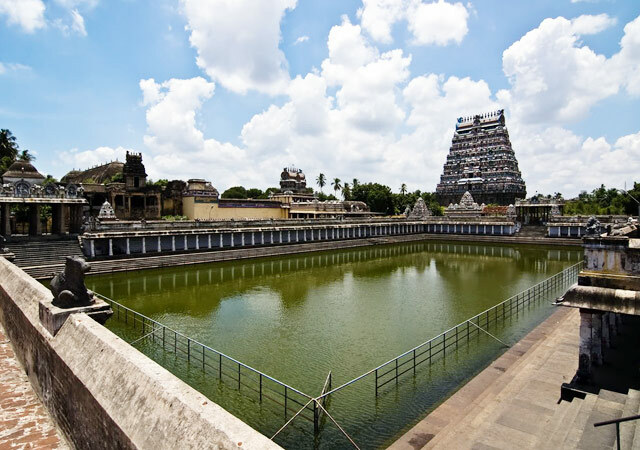 Also known as Thillai Nataraja Temple, the Chidambaram Natrajar Temple is a historic Shiva Temple in South India which is considered as one of the Panch Bhuta Sthlams. This old temple has been renovated over the period of time by different dynasties like Pandyas, Cholas, Cheras, Pallavas and Vijayanagara who ruled over this region, thus leaving the mark of their unique architectural style. The layout of the temple is unique and is full of different philosophical meanings. The temple has in total of nine gateways out of which four of them having gopurams or gateway towers. It is really a beautiful temple with a splendid architecture. Located in the Srirangam Island of the Tamil Nadu region, Jambukeshwara is an important Shiva Shrine and one of Panch Bhut Sthalam. Worshipped here with His consort Akilandeshwari, which is other name of Goddess Parvati, Lord Shiva is present in the form of Shiva Lingam which sprouts non-stop trickles of water. A perfect example of the Dravidian Style of Architecture, the temple was built around 2nd century AD and contain many inscriptions from the Chola Period. The temple was constructed by Kocengannan, one of the earliest dynasties of the Cholas, around 1,800 years ago. The temple is also one of the co-hosts of the annual Natyanjali, which is a festival of classical Indian dance. 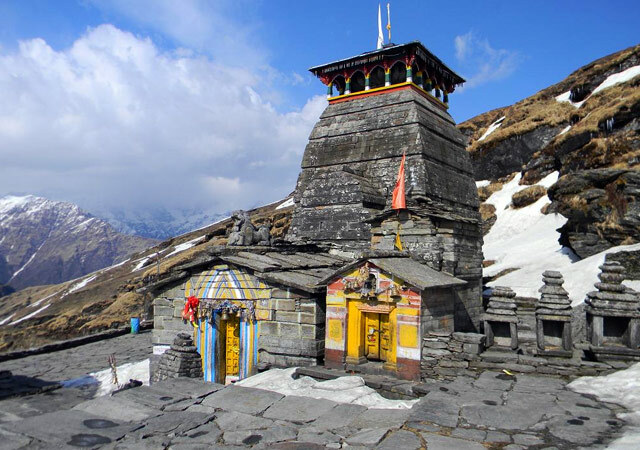 Located on the holy bank of the Alaknanda River near the Rudraprayag Town, the Koteshwar Mahadev Temple is an important Shiva Shrine in the Northern state of Uttarakhand. According to the legends, Lord Shiva meditated here while on his way to Kedarnath, when asking for Lord Vishnu’s help in killing demon Bhasmasur. 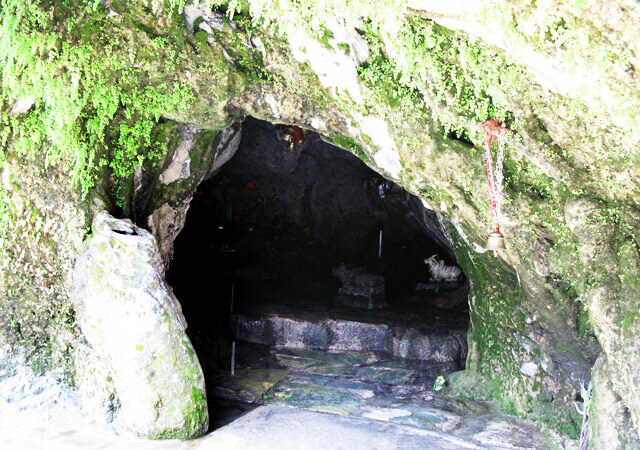 Several different idols of deities, which are located in the cave are said to be originated naturally. The temple is filled with a unique aura which can only be experienced by the devotees. 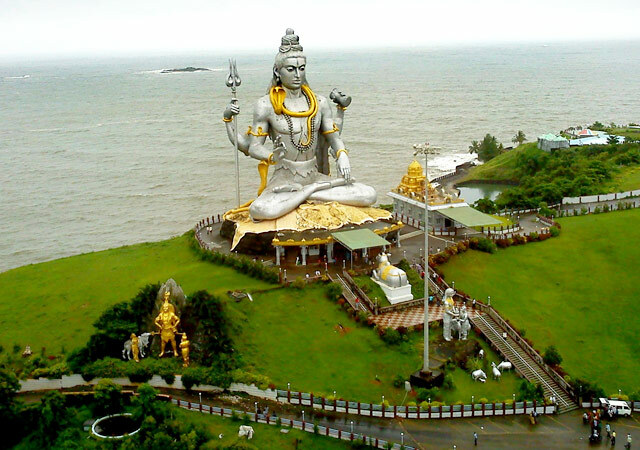 The best time to visit this place is during the holy month of Shravan, which is associated with Lord Shiva. Situated on the bank of the Betwa River, The Bhojeshwar Temple is primarily known for the colossal Shiva Lingam, representing Lord Shiva. The Lingam is nearly 5.5 meters tall and is said to be carved out of a single rock. It is one of the largest Shiva Lingam in the country which draws a sense of wonder from all those who visit it. The temple mysteriously has an incomplete structure, the reason behind which is unknown. However, due to its importance and religious significance it is widely called as the Somnath of the East. One of most admired and famous Shiva temples in the country, the Kailashanath Temple at Ellora is a stunning epitome of beauty and splendor. This amazing megalith structure is a part of the 34 temples that comprises the complex of Ellora caves. It bears the mark of the Rashtrakuta style of architecture from which many other temples of South India later drew inspiration. The temple is a symbol of Mount Kailash, which is the abode of Lord Shiva. The Kailashnath Temple is beautifully sculpted in every direction with the scenes and tales from Hindu Mythology, exhibiting the astonishing skill of workmanship. The temple, carved completely out of a single face of rock is located at Cave no. 16 of Ellora.